Cedd (Ad 620-664), Bishop of Essex & Abbot of Lastingham, was the eldest of four brothers, born into a noble Northumbrian family at the beginning of the 7th century. He started school with his brothers at Lindisfarne Priory and learnt the ways of the Irish monks under Bishop Aidan. The brothers were sent to Ireland for further study and all four became priests. He returned to Lindisfarne and was sent to evangelise the people of Essex, who were sorely in need of some spiritual guidance. He sailed by coracle and arrived at Bradwell, where he built a simple chapeL out of the remains of the Roman wall. 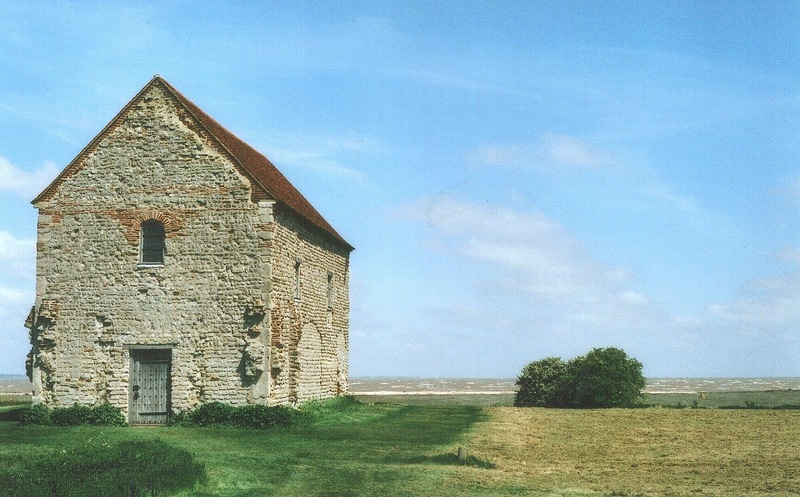 He baptised many of the locals and built churches, founded monasteries at Bradwell-on-Sea and East Tilbury. After being ordained Bishop of Essex Cedd re-instated St. Paul's in London as the main seat of his diocese. He ordained priests and deacons to assist him in his work and gathered together a large flock of servants of Christ in his two monastic foundations. Cedd also built a Royal monastery and mausoleum at Lastingham, Yorkshire. During one visit there he fell ill with the plague and he and his brother, Cynebil, fell sick and died. Cedd was buried in the open air and his funeral was attended by thirty monks from Bradwell who, subsequently also contracted the plague and died. Eventually, a church was built at Lastingham and Cedd's body was interred there. Later, Cedd's bones were moved to the Lichfield Cathedral (founded by his brother, Chad).